ITS has identified and corrected the issue. All wired and wireless network access in Overlook should now be ONLINE. 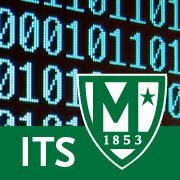 ITS is investigating a reported network issue affecting service to Overlook Manor. Currently wired and wireless access to Overlook is OFFLINE.